People living in South Milwaukee may be in for a double digit water rate hike. 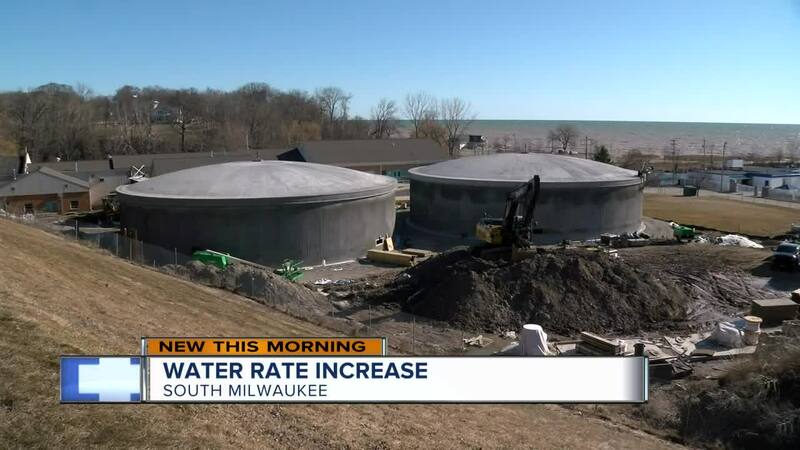 SOUTH MILWAUKEE -- People living in South Milwaukee may be in for a double digit water rate hike. The more than $6 million in improvements being made could soon trickle down to the resident's pocketbooks. City leaders are proposing a 41 percent rate hike for water. Residents we spoke to were not excited. "Why?" asked Wendy Guerrido, "why can't these be staggered say, 10 percent at a time?" "I get it," says Mayor Erik Brooks of South Milwaukee, "My wife is not happy with me right now. I get it. It's painful." Brooks explains it is the state making them do it. In 2008, the Department of Natural Resources gave the city a 10 year deadline to build above ground wells to store its clean water. "There's concerns about ground water and if you're underground things leeching into the system. So it provides another level of safety with your drinking water," Brooks explained. The city broke ground on this project last year thanks to a low interest, safe drinking water loan. The public's permission is not needed for a rate hike. The state's Public Service Commission decides what you pay for water. "They held a public hearing and just recently they're still considering it," said Brooks. If the PSC approves it, the first phase would have water bills increase by 18 percent. Once the new construction is complete, the full 41 percent would be on everyone's bills. "To be honest construction is about to be completed here in the next several months so those will be pretty compressed," said Brooks. The city also has answers to frequently asked questions in the link provided here .